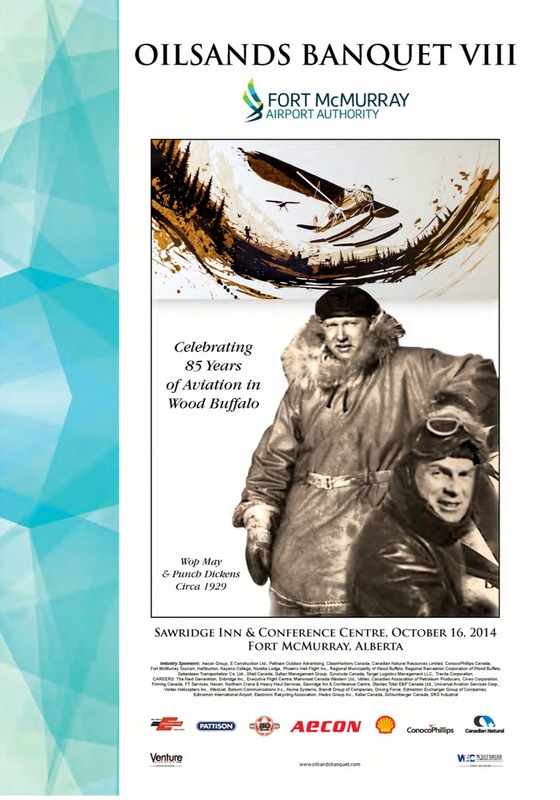 This is the week for Oilsands Banquet VIII, honouring the Fort McMurray Airport Authority and 85 years of aviation in Wood Buffalo. 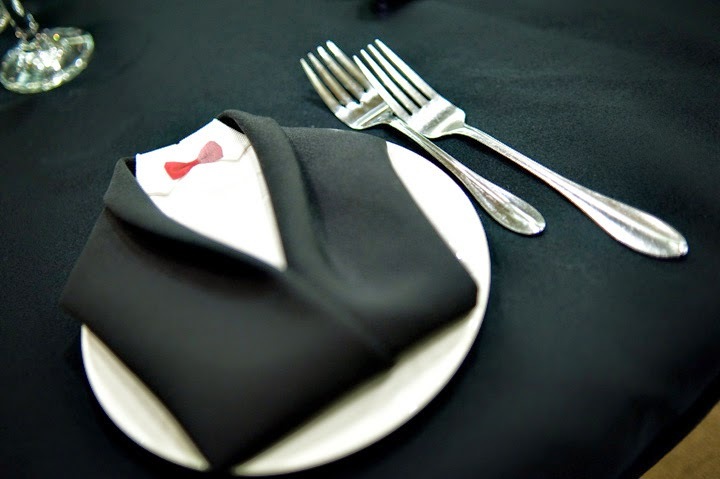 An invite-only annual affair that not only brings together senior executives from the producing side of the oil sands industry, but also the service and supply side, as well as leaders from all levels of government, the Oilsands Banquet is exclusive in its quality, and unforgettable in terms of its purpose. "There is no question in my mind, that this has grown into the oil sands event of the year," said one senior leader in 2013, when the Athabasca Tribal Council was honoured. With keynotes from Mayor Melissa Blake, Mayor of the Regional Municipality of Wood Buffalo; Scott Clements, President and CEO of the Fort McMurray Airport Authority; and Gregg Saretsky, President and CEO of Westjet; the event will pay homage to the rich history of aviation in building this region, its economy and sense of community and place. "We are very pleased and honoured to announce that John Chalmers, official Historian at Canada's Aviation Hall of Fame, located in Wetaskiwin will be with us," said Phil Enarson, President of Westbrier Communications, producer of the Oilsands Banquet. "He will be bringing and putting on display a very cherished trophy in aviation circles in Canada: the Trans-Canada (McKee) Trophy. You might say this is the Holy Grail prized by all aviators in Canada, the Stanley Cup of all those in Canada who love to fly. It was first awarded in 1927 to Harold (Doc) Oaks. Punch Dickens was the second winner in 1928 followed by Wop May in 1929." Punch Dickins and Wop May, celebrated pilots of the day - Wop being credited for having shot down the Red Baron in WWI - and both aviators who extended their post combat careers by flying commercially out of Fort McMurray starting in about 1929. Artist David Ball has captured the accomplished pilots and scenes from the Snye, the location of Fort McMurray's first air service, in captivating pastel works that will be on display at the event. Art has always played an important honouring role in the Oilsands Banquet. Amy Keller-Remp, a First Nations artist who grew up in Canada's great outdoors where deer, bear, elk, moose and bear freely roamed, has been commissioned to add an additional work in her Sky Dance Series, a collection of modern impressionist works that reflect her Mohawk ancestry and love of the land and its creatures. This new work will be presented to the Fort McMurray Airport Authority as the honouree of the 2014 Oilsands Banquet. This first-class event will once again be hosted at the Sawridge Inn and Conference Centre. "Executive Chef Clarence Buchanan never disappoints," said Enarson. "His stunning and delicious creations are a highlight of our gathering, after all it is a Banquet with the finest of menu offerings. This year, Clarence and his capable staff will deliver a gourmet delight to exceed all previous banquets." Oilsands Banquet VIII starts with the first course of Toasted Goat Cheese Artisian Greens with Pickled Apple, Candied Walnuts, Pumpkin Seed Powder and Fig Vanilla Emulsion. The wine paring is a lovely Sauvignon Blanc from the acclaimed Marlborough region of New Zealand. To clear the palate prior to the entrée, a Limoneelle Sorbet is offered, very refreshing and tasty. The mains consist of Fresh Herb Crusted Alberta AAA Tenderloin and Buttered Poached Lobster Tail, with Fennel and Gruyere Gratin Scallop Potato and Jumbo Asparagus and Maple Carrots with Merlot Jus. The wine paring is a new addition to the Sawridge Red Wine list, an outstanding South Australian Shiraz, Oxford Landing, sourced from the World famous Bourassa region. Dessert is a wonderful surprise of Triple chocolate Mousse Cake with Amarena Cherry Compote, an exquisite Italian fruit very difficult to source. "This is primarily a Wood Buffalo community initiative, in that it endeavours to select a major community stakeholder and extend recognition and honour to a deserving recipient at a significant time," said Enarson. "The recognition extends well beyond the geographical borders of the region in that a major component of the Oilsands Banquet is the publication of Northern Stars, the companion custom publication to the event. Readership of Northern Stars includes over 100,000 key influencers in industry, government, education and First Nations in the larger provincial, national and international constituencies." At the end of the day, the story being crafted by the Oilsands Banquet is the story of our region. It offers a refreshing and informed perspective on why this is a place that so many of us choose to do business and call home, a place of which we are intensely proud. On Thursday, the event will shine the light on the Fort McMurray Airport Authority in a year that saw them successfully open the new Fort McMurray International Airport terminal, a facility that has been widely lauded as being a significant game changer for Wood Buffalo. It will also reflect on the important role that aviation has played in shaping this region's destiny, going all the back to 1929 when Wop May and Punch Dickins set the tone for the 85 years of excellence that have followed.